SOUTH Africa’s Department of Minerals Resources (DMR) was “studying” a landmark judgement by the High Court (Pretoria) today which ruled the DMR must obtain “full and formal” consent from the Xolobeni community before granting mining rights. “The DME has noted the judgment by Judge Basson handed down in the Gauteng High Court in Pretoria in the matter: Duduzile Baleni & Others v DMR and others,” the DMR said in a statement. “The department is studying the judgment, and will pronounce itself on the matter in due course,” it added. 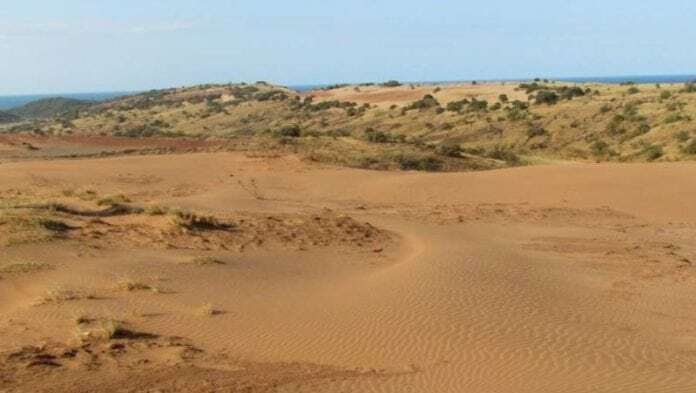 The court case relates to an application by Australian firm, Transworld Energy and Mineral Resources for mining rights to the Xolobeni’s land in the Eastern Cape province which has resources of mineral sands, from which paint pigment is ultimately manufactured. In her judgment, cited by the Mail & Guardian relying on a News24 report, Judge Annali Basson declared that the mines minister – currently Gwede Mantashe – must obtain consent from the community, as the holder of rights on land, prior to granting any mining right to Transworld Energy and Mineral Resources. Judge Basson stated that while the informal rights of customary communities were previously not protected by law, they now had the right to decide what happens with their land. “As such they may not be deprived of their land without their consent,” she said. Mantashe said in August that he intended to stop the progress of a mining application for Xolobeni. Citing a government gazette published on August 3, BusinessLive said Mantashe would not only freeze progress on an existing mining application from Transworld Energy & Mineral Resources — an Australian company seeking to mine titanium along the Wild Coast — but will also block any new applications from being lodged. The moratorium was in response to “… the social and political climate at Xolobeni”, and the “… significant social disintegration and highly volatile nature of the current situation in the area,” said BusinessLive citing Mantashe in the gazette.